Continental ExpressDry Gear Dryers are engineered to safely and quickly dry personal protective equipment, including turnout gear, special operations suits, helmets, gloves, boots, face masks and self-contained breathing apparatuses (SCBAs). Available in two models, the ExpressDry Gear Dryer and the ExpressDry Special Ops Gear Dryer both work by blowing a large volume of ambient air, at high pressure, safely through the garment—drying the body of the gear and also the hard-to-reach areas, such as inseam, collar and underarm. NFPA compliant, the dryers accommodate multiple sets of turnout and/or special ops gear simultaneously—ensuring it is safely dried and returned to service in hours, not days. ExpressDry Dryers utilize a powerful and highly efficient 110-volt fan to push a large air volume through the garment from the inside out. This high-pressure flow ensures air effectively dries areas that are hard to reach without air loss—significantly decreasing dry time. Because the fan operates using ambient air, the dryers are more energy efficient than cabinet style dryers, which require heated air and align with requirements set forth by gear manufacturers. 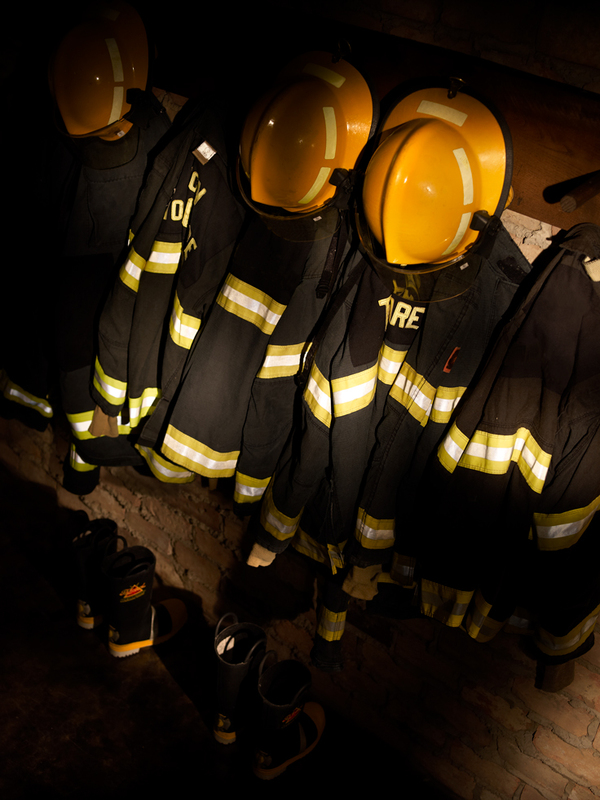 Thus, by using the ExpressDry Gear Dryer or the ExpressDry Special Ops Gear Dryer, fire departments ensure gear manufacturers’ warranties are NOT voided. Quick and easy to use, the ExpressDry Gear Dryer adapts to specific types and sizes of bunker gear without turning them inside out. The dryer can simultaneously accommodate up to six suits, along with helmets, gloves, boots, face masks and SCBAs. Adding dimension, the ExpressDry Special Ops Gear Dryer is best suited for fire departments responsible for everything from firefighting to swift water and ice rescues. It is equipped with 12 drying ports and four invertible stickmen to quickly and safely dry special ops protective gear and apparatuses. The stickmen, which are adjustable in length to fit different sized suits, can be inverted for drying special ops gear upside down. It also offers optional boot trees, each capable of drying up to four pairs of soaked boots in just 60 minutes. The ExpressDry Special Ops Gear Dryer features 12 accessory drying ports with valves for gloves, helmets and balaclavas. All Continental ExpressDry Dryers come standard with an LED timer with automatic shut off, steel construction, casters for ease of movement, up to 12 component drying ports, removable 800 cfm blower and a noise reduction package. Boasting high-quality construction and an operational life span of 87,000 hours, they are NFPA compliant and backed by a 3-year ContinentalCare warranty. Not only can ExpressDry Dryers be used to dry gear, as an added option, the dryer can be removed and attached to your pump’s water ports for quick winter drying—preventing damage from winter freeze ups (utility hose not included).